A contemporary chrome ceiling light, with three circular tiers of high quality clear crystal octagon buttons and masses of long crystal prisms. A chrome ceiling mount and fixed height central drop rod complete the elegant design, making it an easy way to instantly bring a touch of glamour to a living room or dining area with a lower ceiling height. 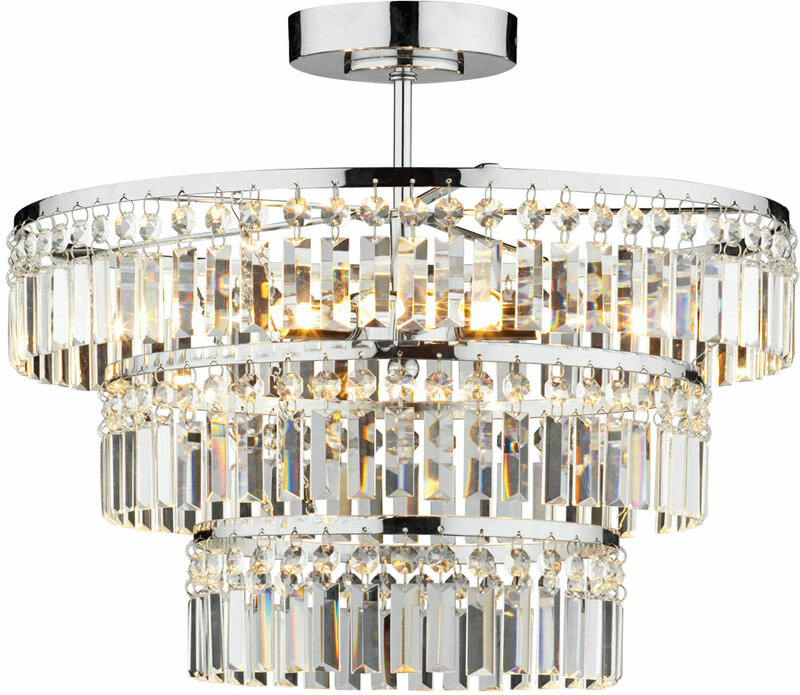 Supplied with dimmable halogen capsule bulbs that reflect light onto and through the fitting to exploit the natural beauty of the crystal. There are no fittings that match the Rowena ceiling Light.